The weather forecast this morning looked pretty-good. 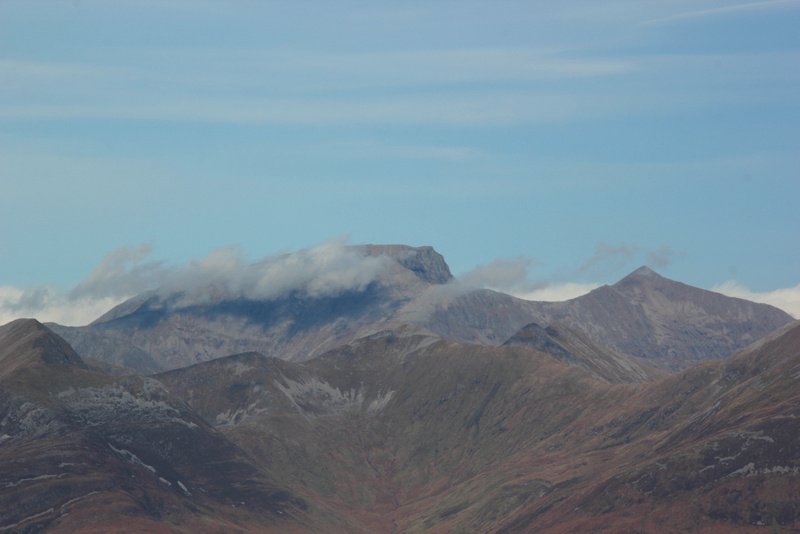 I therefore abandoned plans to ascend one of my remaining dull Grahams and instead drove from my base in Arrochar round towards Glencoe with a view to ascending Bidean nam Bian. 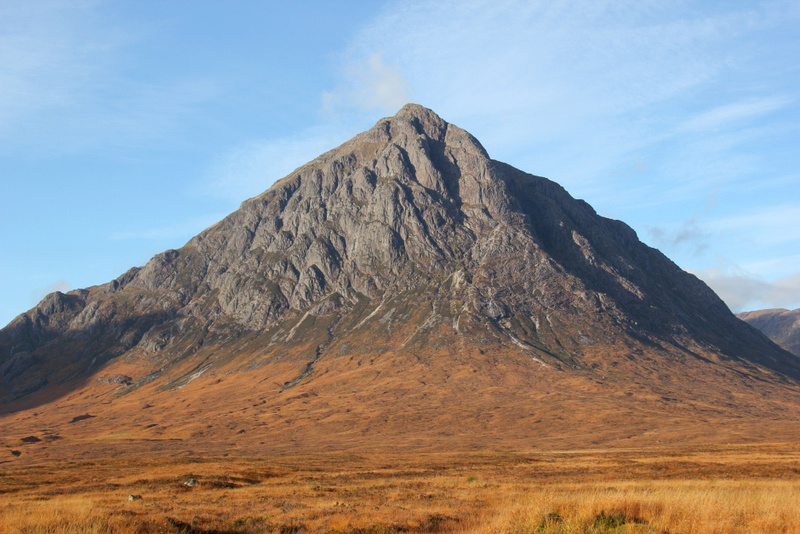 As I drove along the A82 towards the Glencoe Mountain Resort, Buachaille Etive Mor looked outstanding. 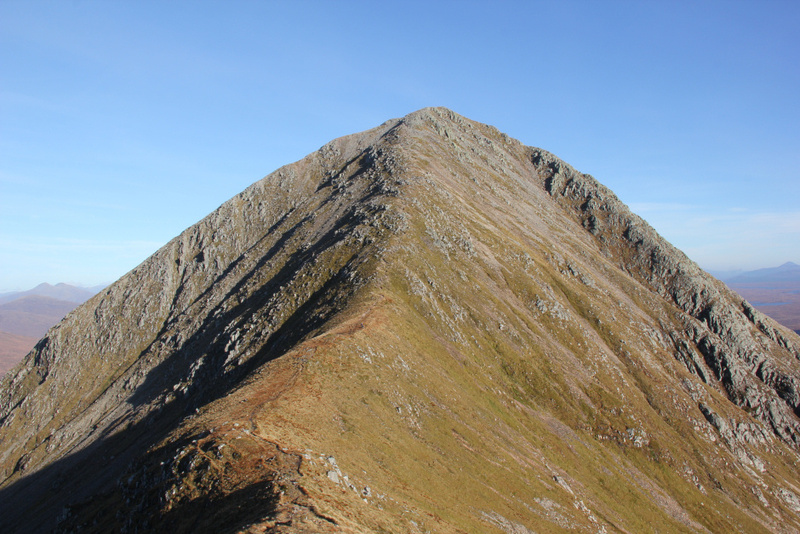 As it was 12 years since I last ascended this fine mountain, I also abandoned plans for Bidean nam Bian in favour of once again ascending the Big Buachaille. 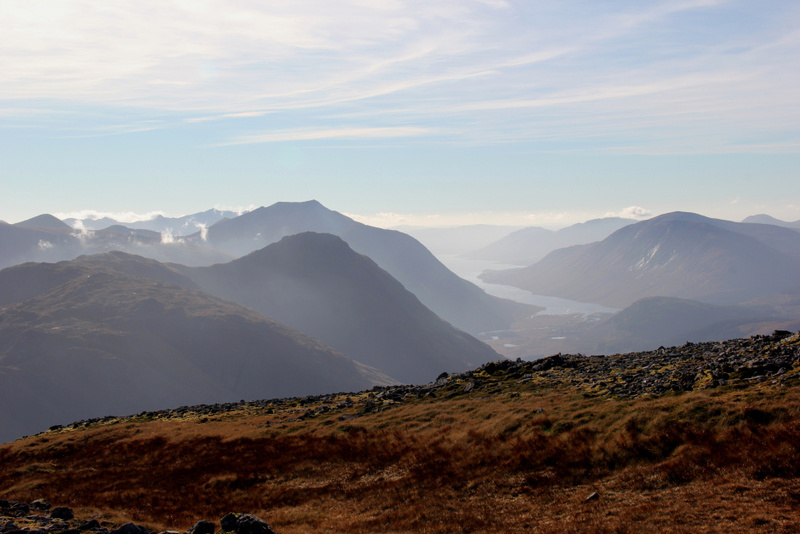 I stopped twice en-route to the car park at Lagangarbh to take photos. While getting suited and booted, an expensive disaster struck as I stupidly dropped my iPhone into a deep puddle. The water must have damaged the circuitry inside as it will no longer charge. 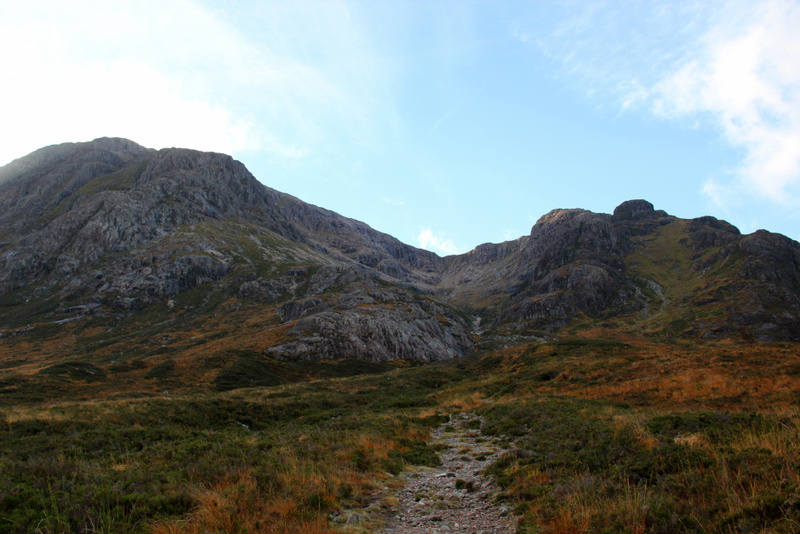 From the car park, I made my way towards Lagangarbh and beyond towards Coire na Tulaich. 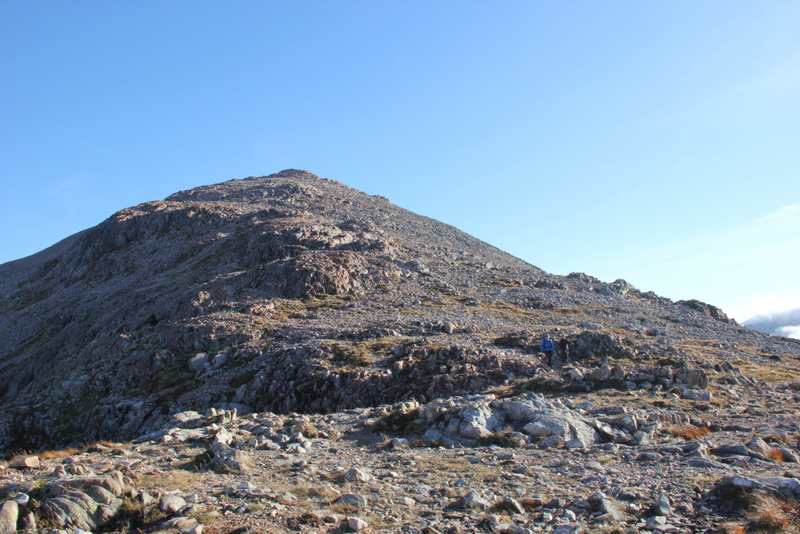 Passing the fork in the path leading round towards Curved Ridge and other scrambles/climbs brought back great memories of my last ascent of Buachaille Etive Mor via Agag's Groove. Kevin led the 1st and 3rd pitch and I led the 2nd and 4th pitch. Despite it being 12 years ago, I still remember the exposure on the 4th pitch. 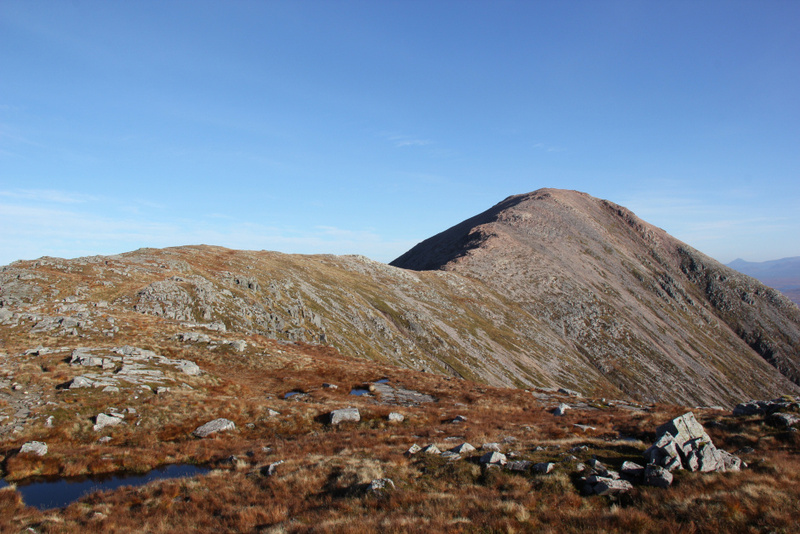 Today, I would be taking the easy approach via Coire na Tulaich. I last ascended this way in 2001. 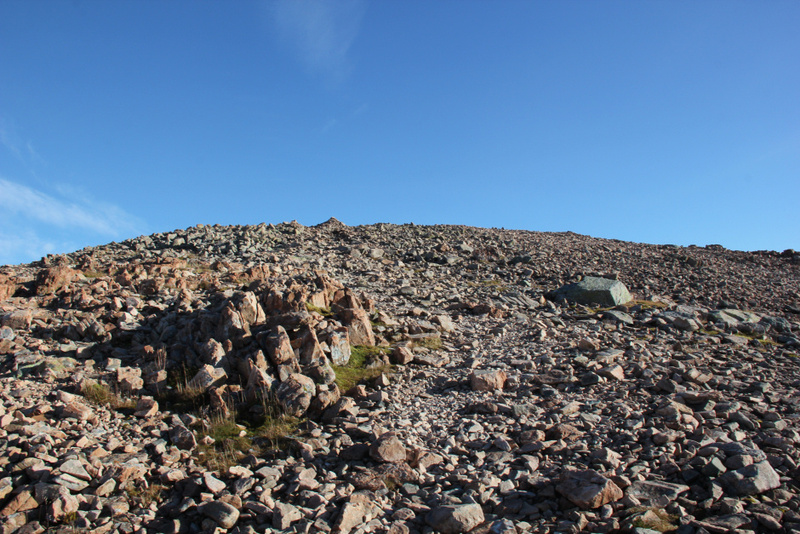 The path ascending Coire na Tulaich was much better than I remembered. 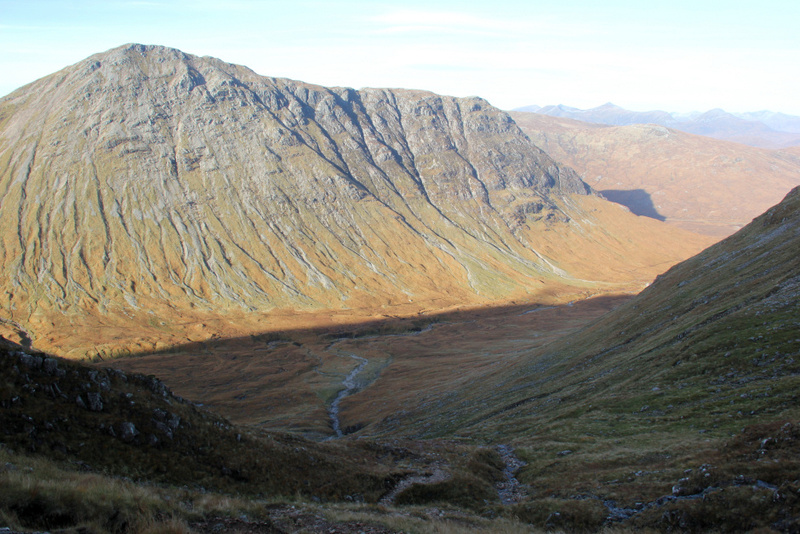 Perhaps the path has improved during the past 12 years. 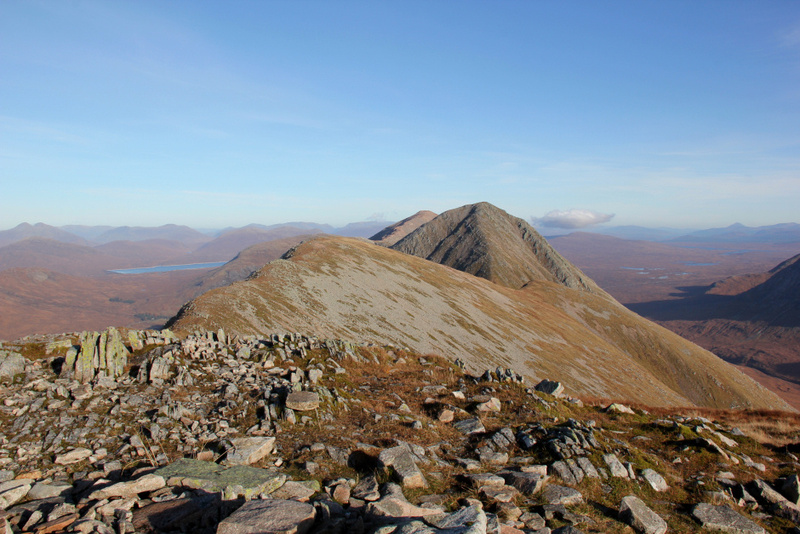 Within 75 minutes of leaving the car, I reached the top of Coire na Tulaich. 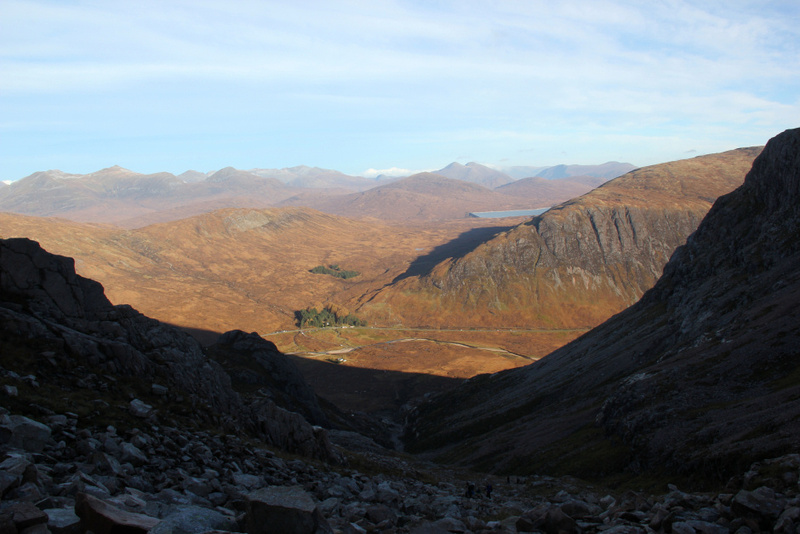 From the top of the coire, I proceeded towards Stob Dearg. 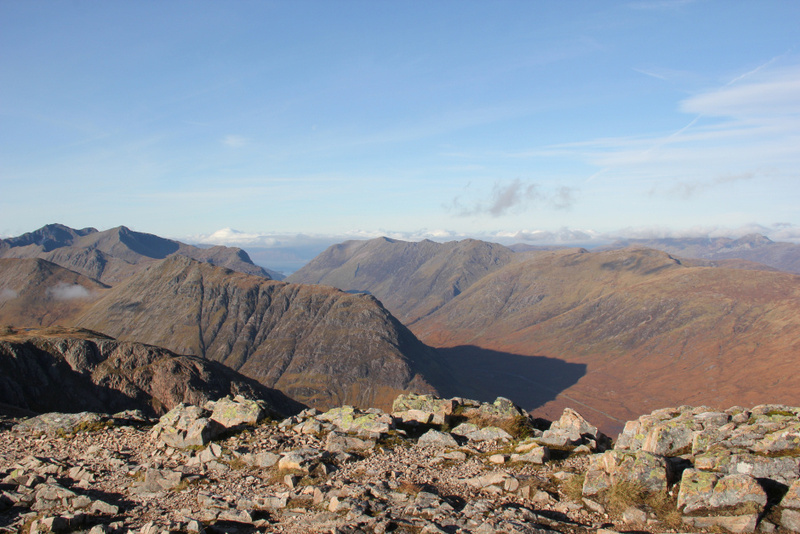 The views this morning were very impressive. 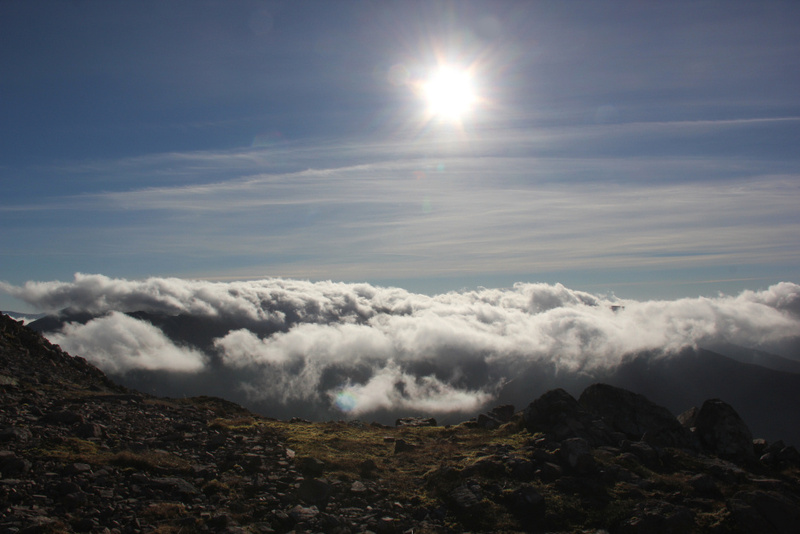 The Black Mount Munros had wisps of cloud inversion while all the Glencoe hills to the West were completely cloud-free. The clarity today was outstanding. 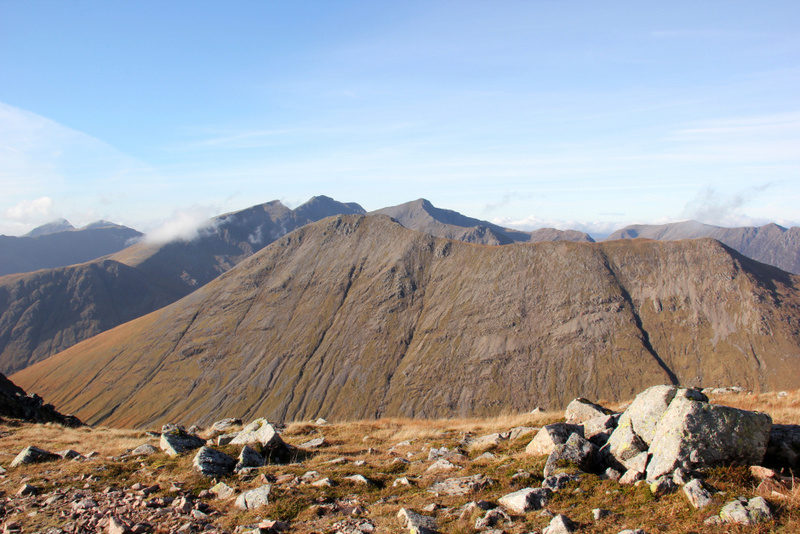 It was good to set eyes on Bidean nam Bian, my original target for today. 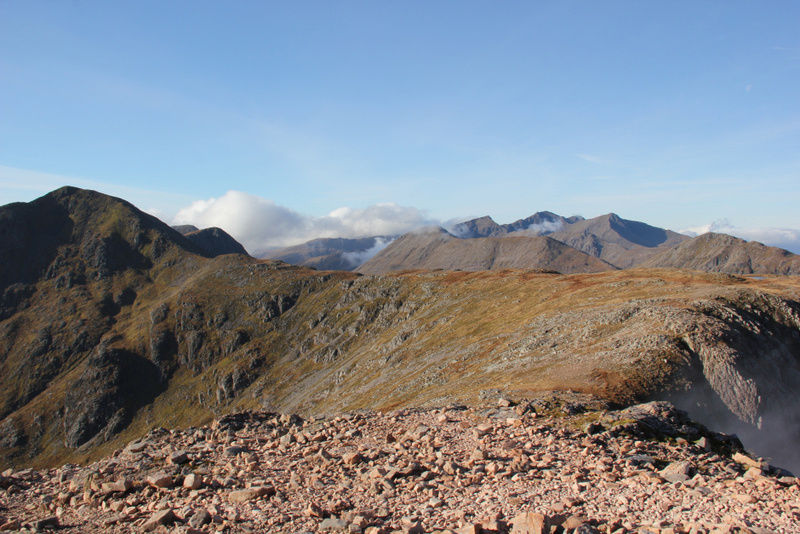 This was my final Munro in October 2005. 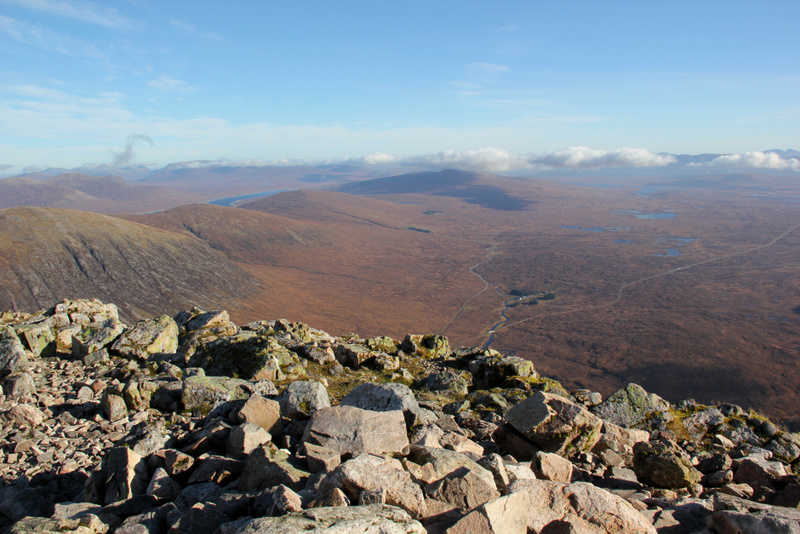 The view down to the Kingshouse and the flat expansive of Rannoch Moor was also nice. 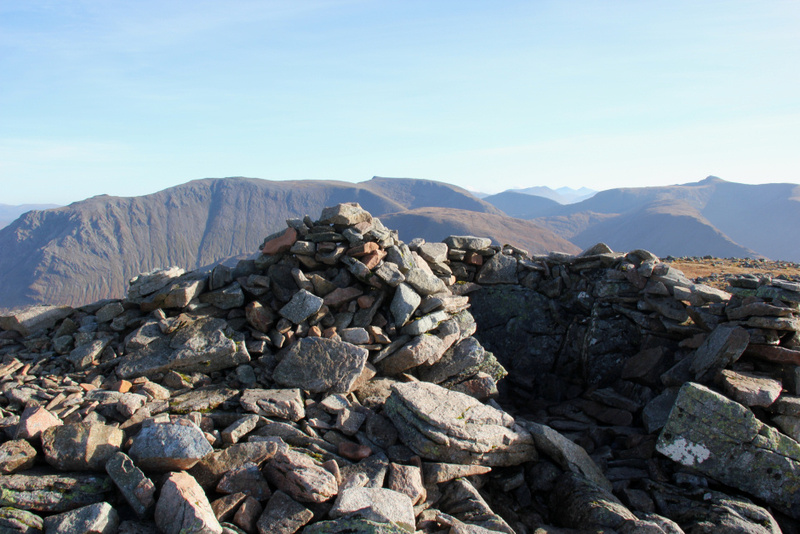 I visited both cairns at the summit area as I wasn't sure which one was highest. 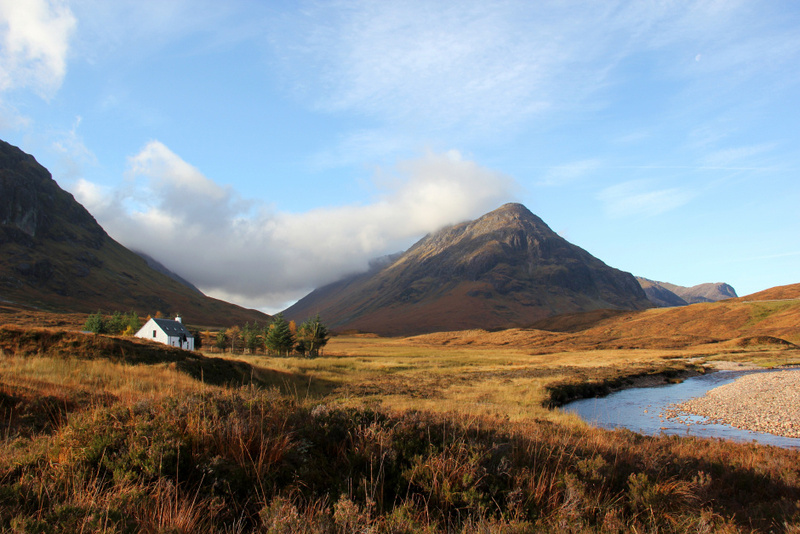 Across the A82 lies the Corbett, Beinn a' Chrulaiste. 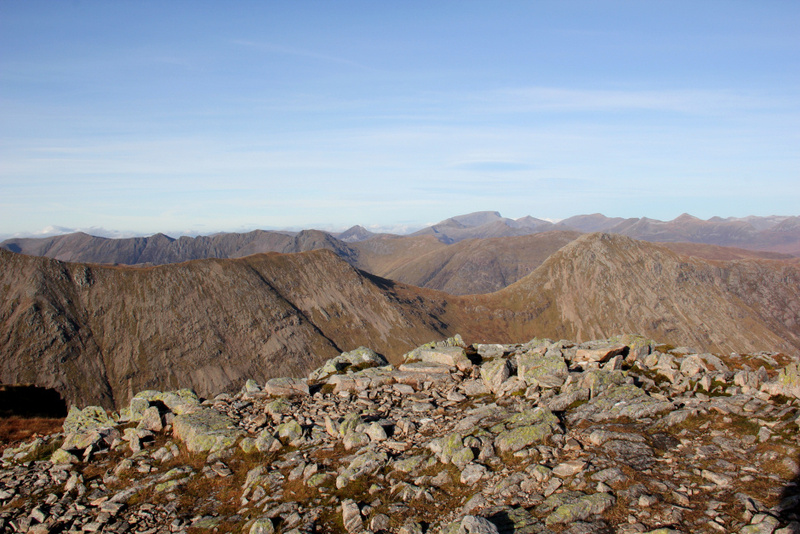 It is a great hill for views of Buachaille Etive Mor. 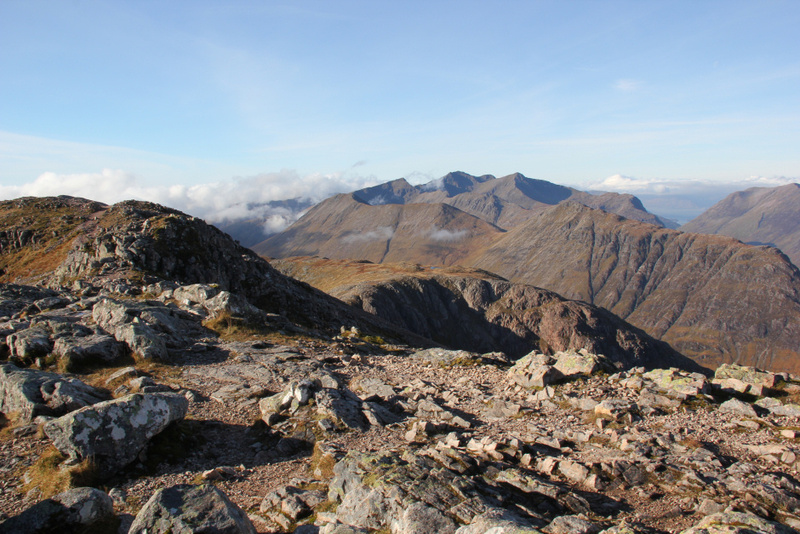 From the summit of Stob Dearg, I returned to the col and then progressed along the ridge with a view to visiting Stob na Broige (Munro), Stob na Doire (Munro Top) and Stob Coire Altruim (Munro Top). 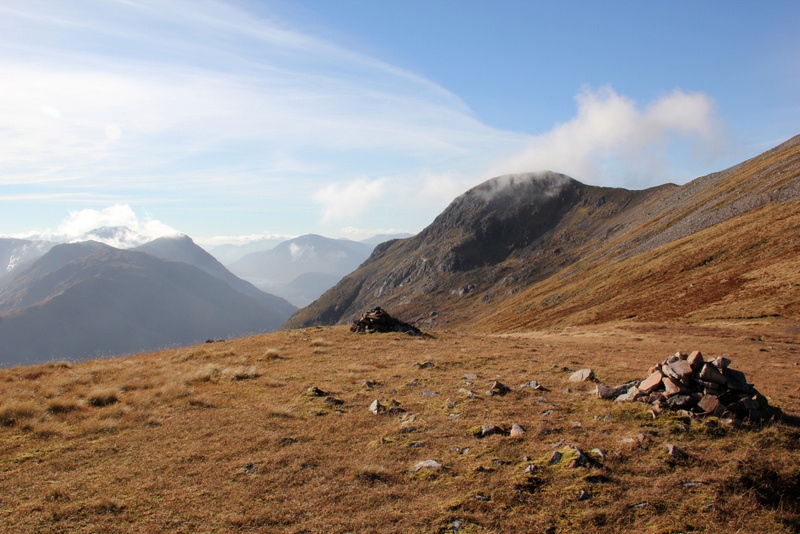 The ascent of Stob na Doire was straight-forward. 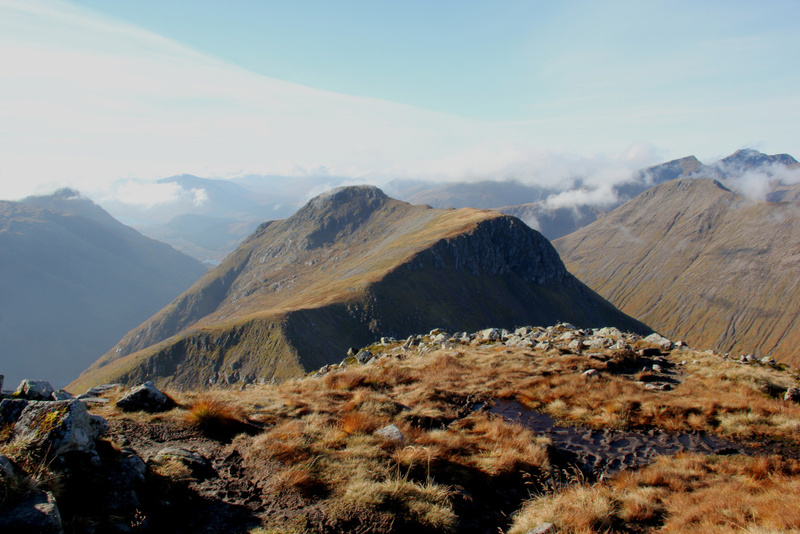 The descent from Stob na Doire is quite steep but there is a good path to follow. 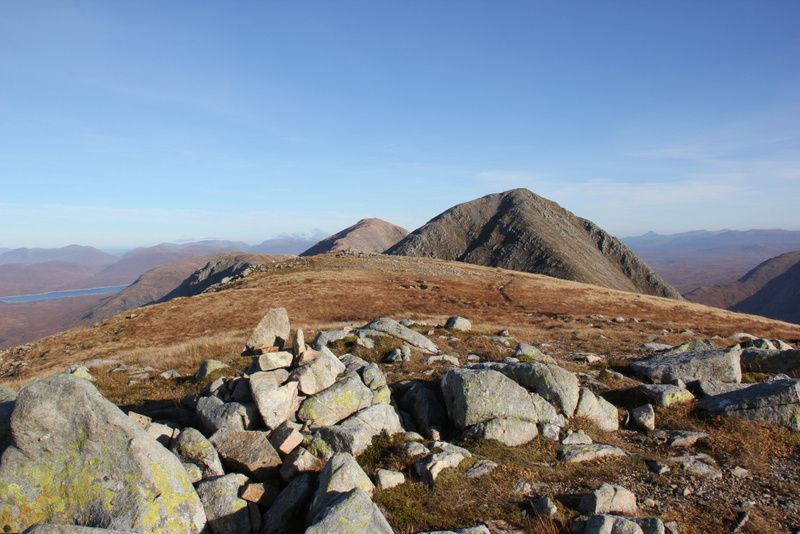 On reaching the col, I took a short diversion off the path to have a brief stop on a grassy area with two cairns. 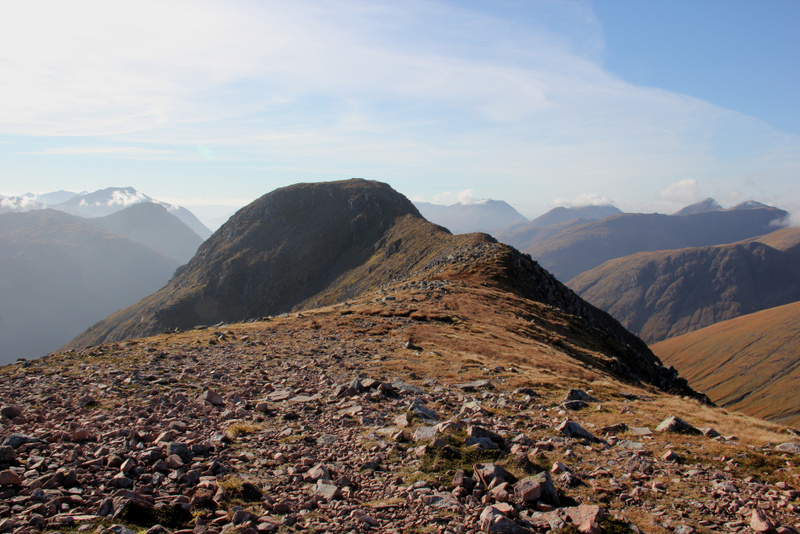 I then progressed up Stob Coire Altruim and on towards Stob na Broige. 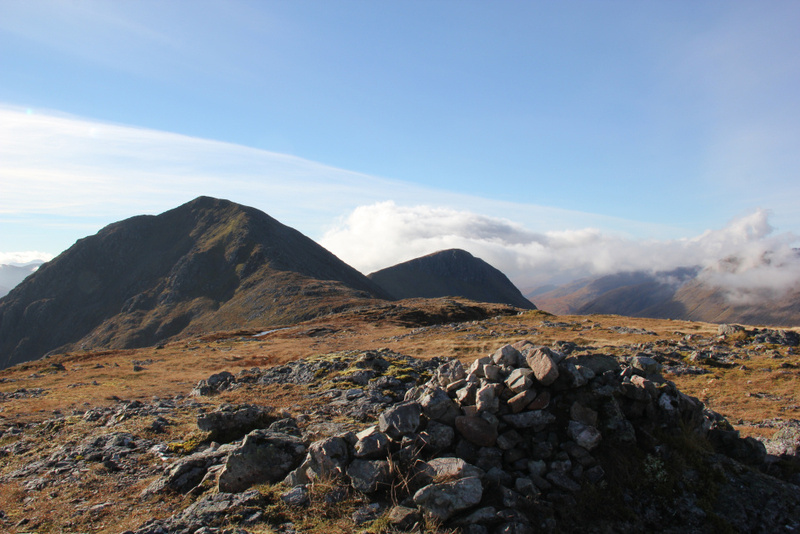 I had my longest stop of the day at the summit of Stob na Broige where I took numerous photos of the surrounding hills. 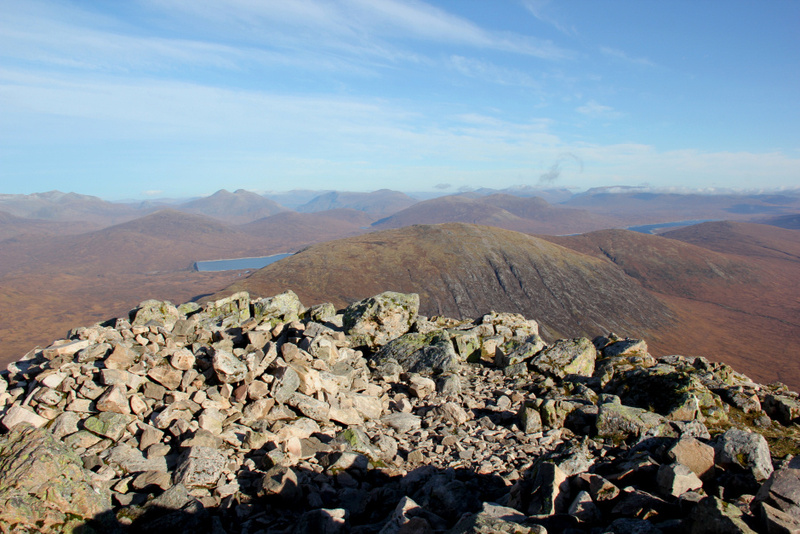 I particularly enjoyed the view towards Loch Etive. 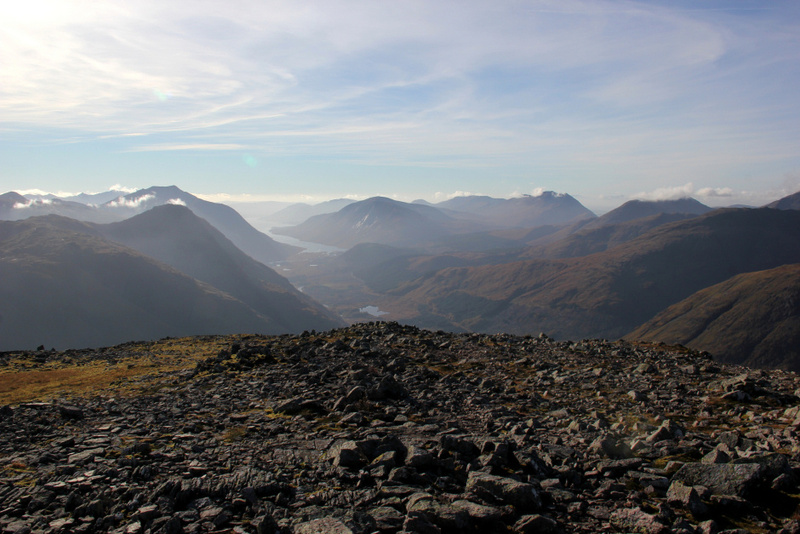 Glen Etive is an area I definitely need to revisit in 2016. 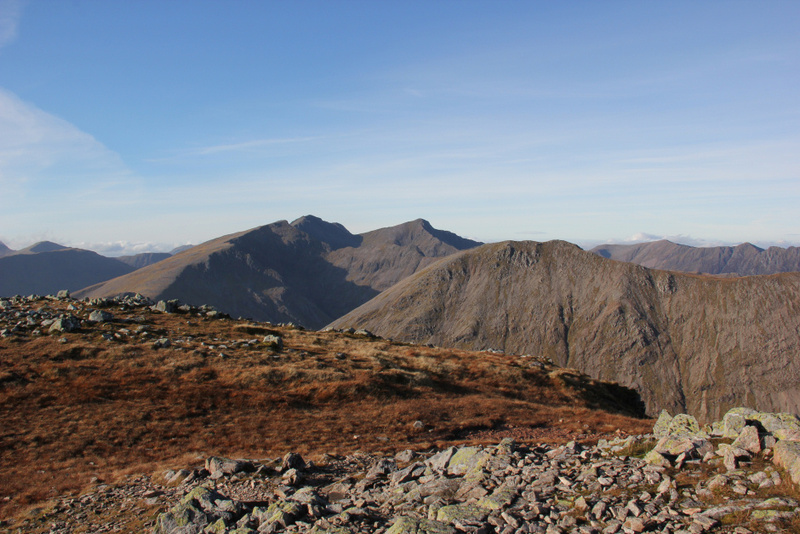 From Stob na Broige, I retraced my steps to Stob Coire Altruim and beyond to reach the top of a track which leads down to Lairig Gartain. 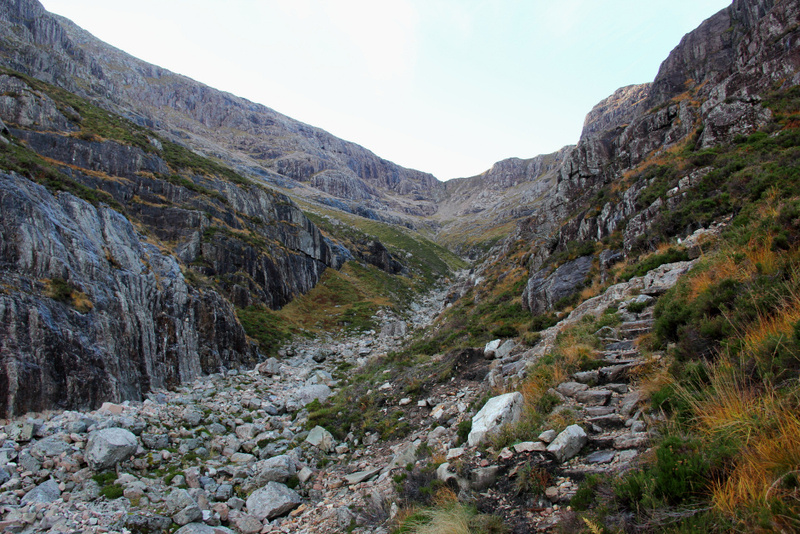 Care is needed in the descent as it is steep in places and there is an unavoidable 20-30m section of easy down-scrambling next to a waterfall. 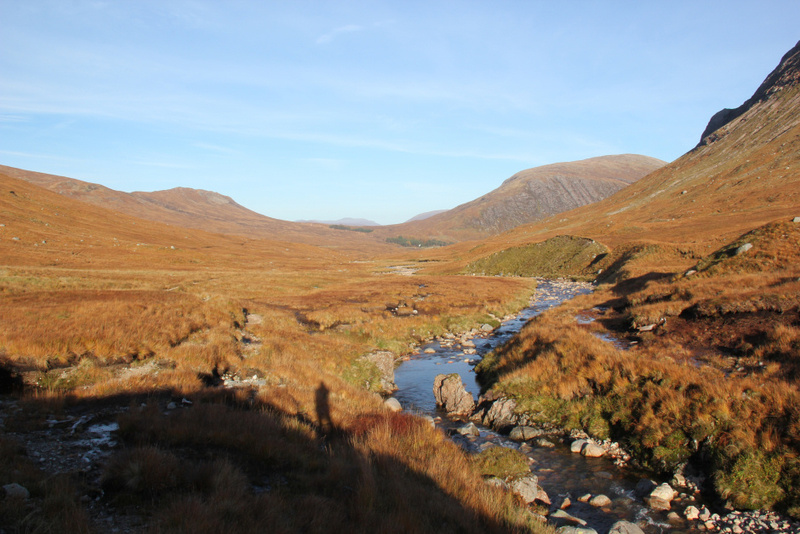 On reaching Lairig Gartain, I followed the track out to the A82 and then walked along the A82 back to the Lagangarbh car park. 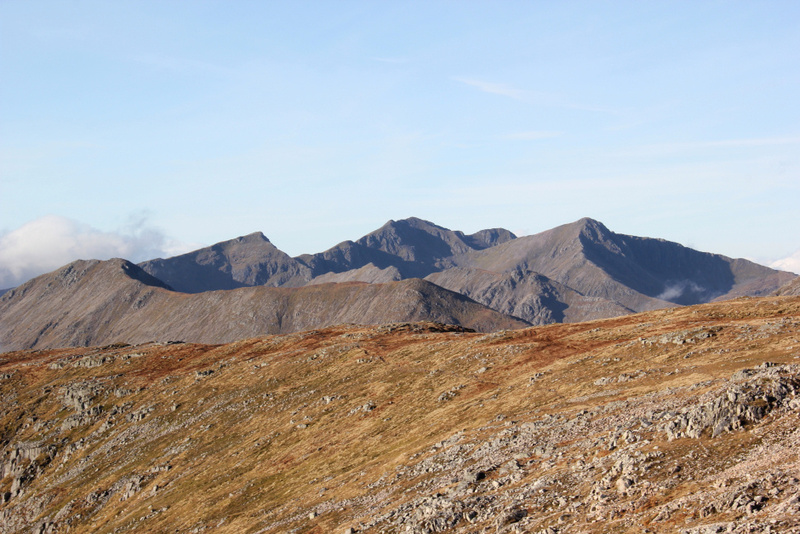 Today was about as good as it gets on the hills. 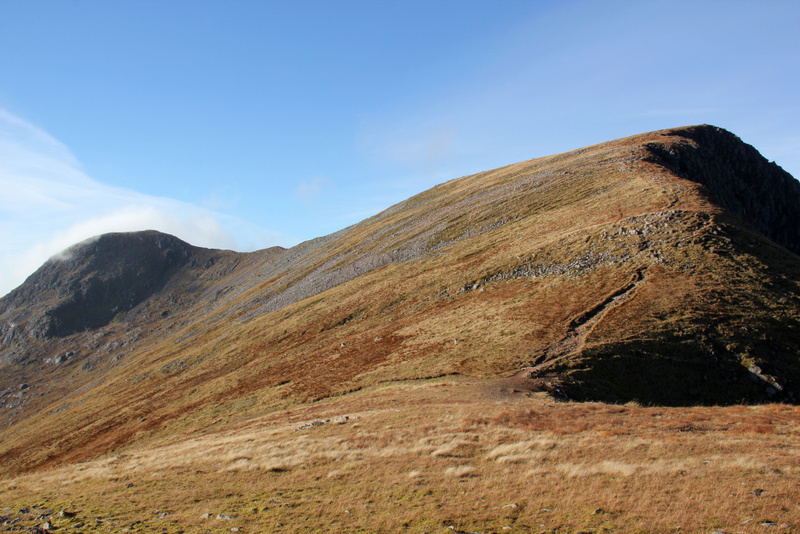 On a good day it is worth doing good hills. 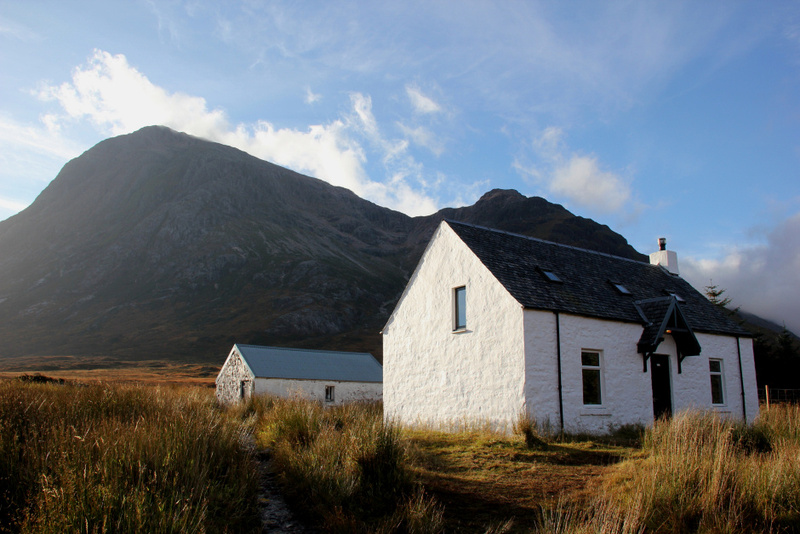 Last edited by mountainsofscotland on Fri Jul 14, 2017 9:12 am, edited 1 time in total. 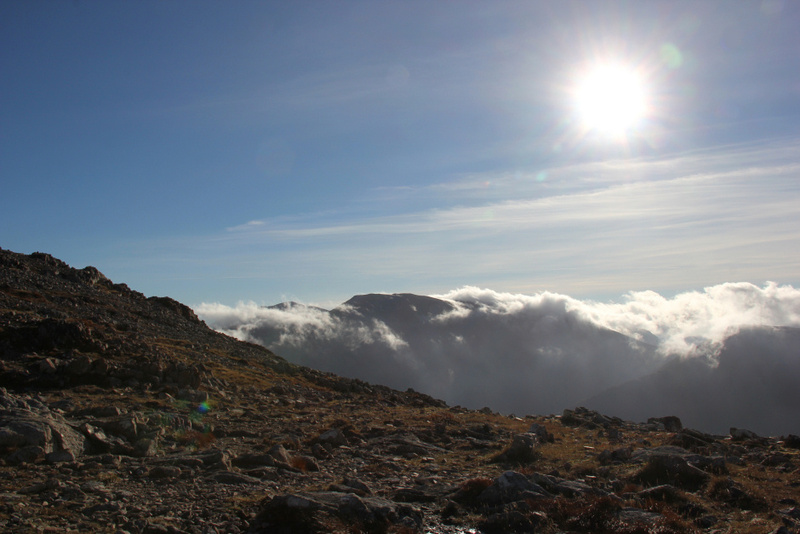 What perfect weather, looks like you had a great day! Makes me want to just quit work and drive up to the hills! Anyone else get that feeling on a Monday? Looks like a glorious day . On the iPhone, I can recommend the standard technique of putting it in a bowl of rice in a dry place. I fell in a river with mine but about 3 weeks in rice in the airing cupboard brought it back to life - for a couple of years anyway. Great photos. Who would believe that was November? ilovescotty wrote: What perfect weather, looks like you had a great day! Makes me want to just quit work and drive up to the hills! Anyone else get that feeling on a Monday? Monday, Tuesday, Wednesday... any day with a 'day' in it Especially after looking at reports like this. 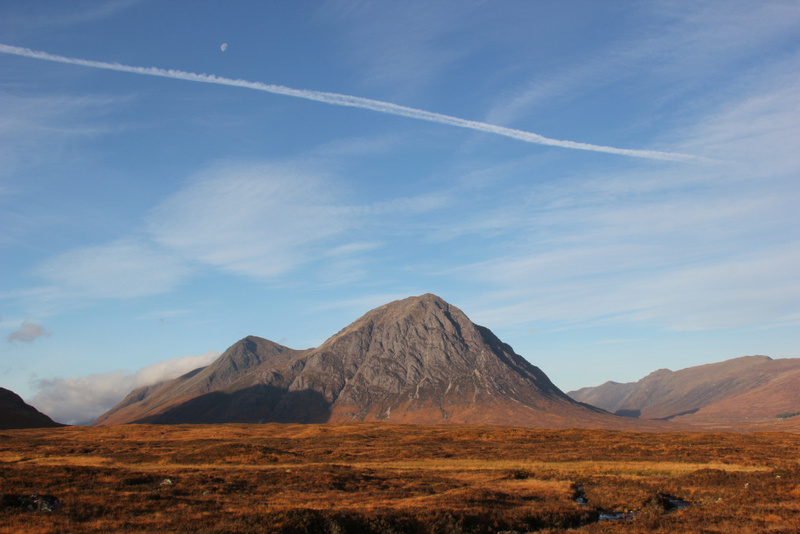 What a perfect day for the Buachaille. Superb. 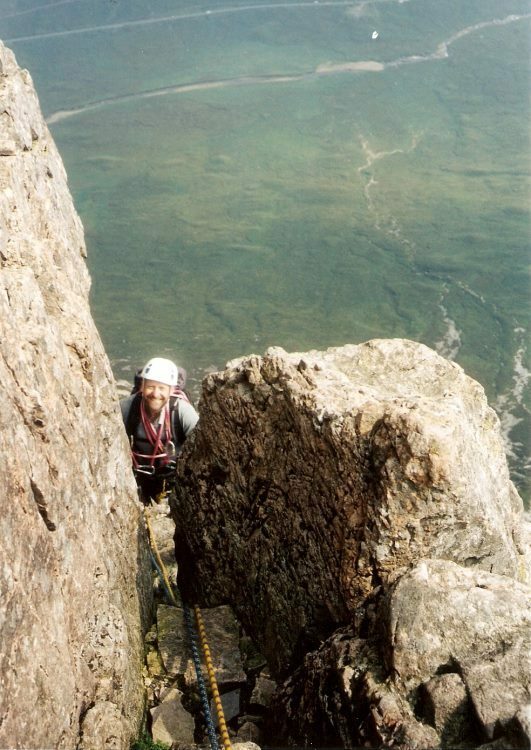 Did this traverse in June 2001, starting up Curved Ridge. At this time of year I guess CR could have been a bit damp and greasy, despite the sunshine. Nice pic of Agag's Groove - very exposed for a VDiff, esp on pitch 4 as you say (did that in 1983 and I wouldn't mind doing it again - you've given me an idea, thanks! ).